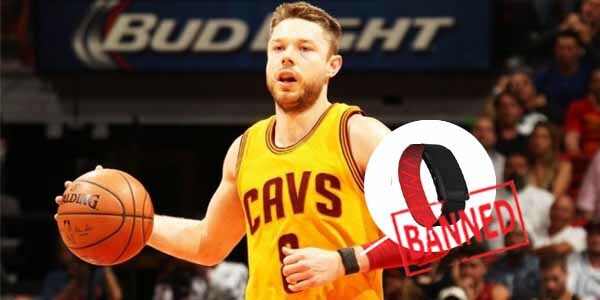 For several games of the Cleveland Cavaliers’ 2015-16 season, point guard Matthew Dellavedova sported a Whoop bracelet on his wrist. The Whoop device allowed for Dellavedova to monitor health-related measurements like heart rate or temperature while in game and provided no harm to anyone in the entire world. The office of the NBA saw the situation differently. Whether it was for the given reason of the Whoop violating the NBA’s ban on wearable technology or to prevent Delly from using his wristband for James Bond-esque espionage purposes, the NBA banned the Cavaliers guard from wearing it for the rest of the season.